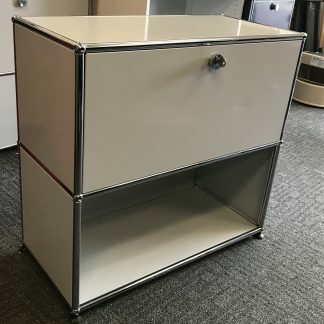 Available in light grey, this unit has flip-down door compartments and filing drawer bottom compartments. 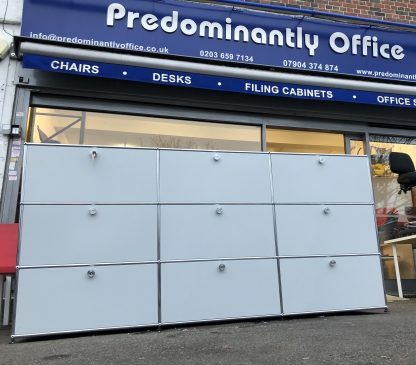 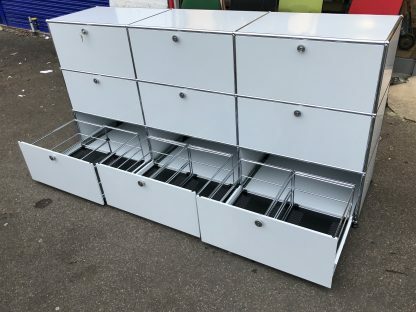 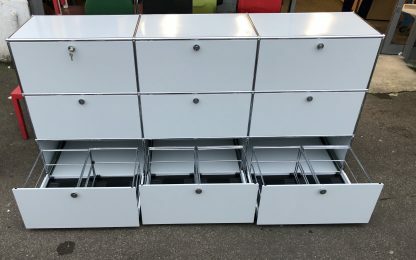 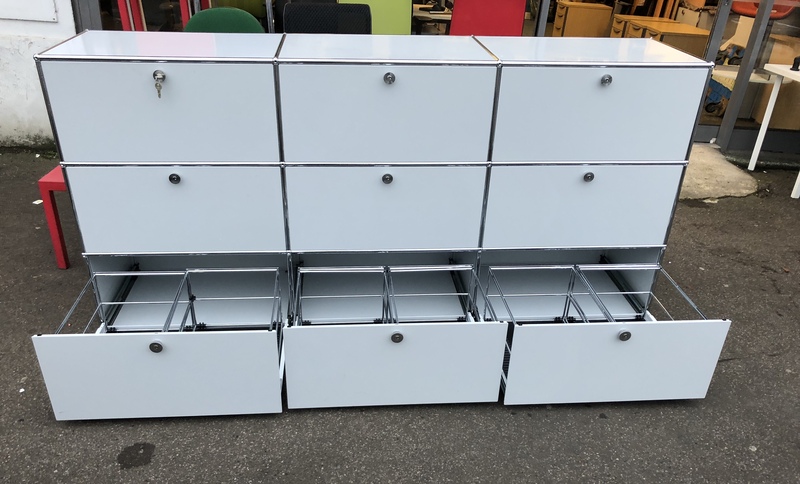 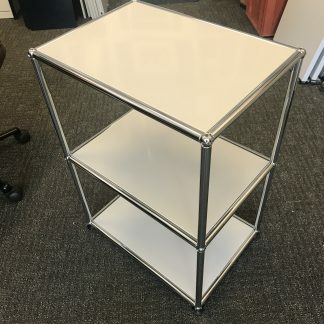 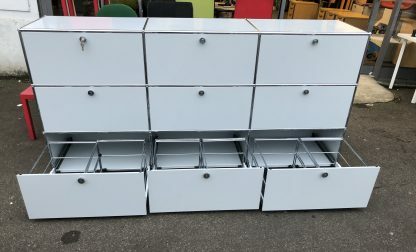 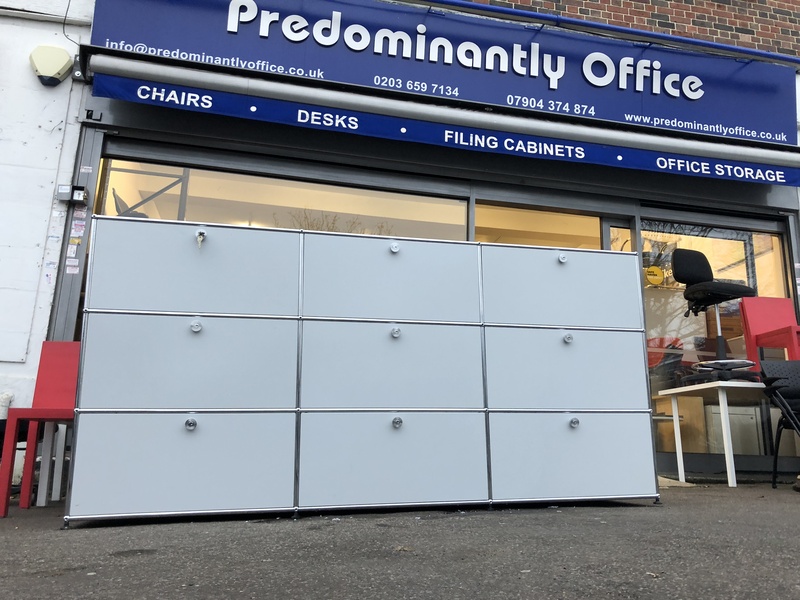 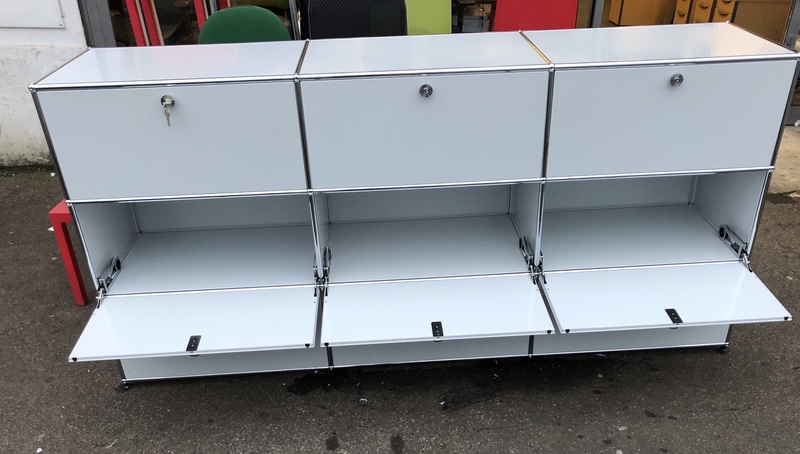 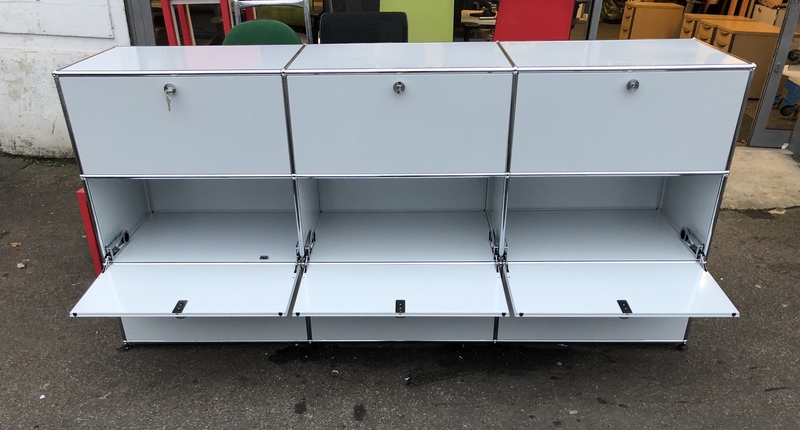 We can play around with the compartments, so you can have filing drawers which glide out smoothly where you want or slide out trays or we can change them over for you to have all flip-top compartments. 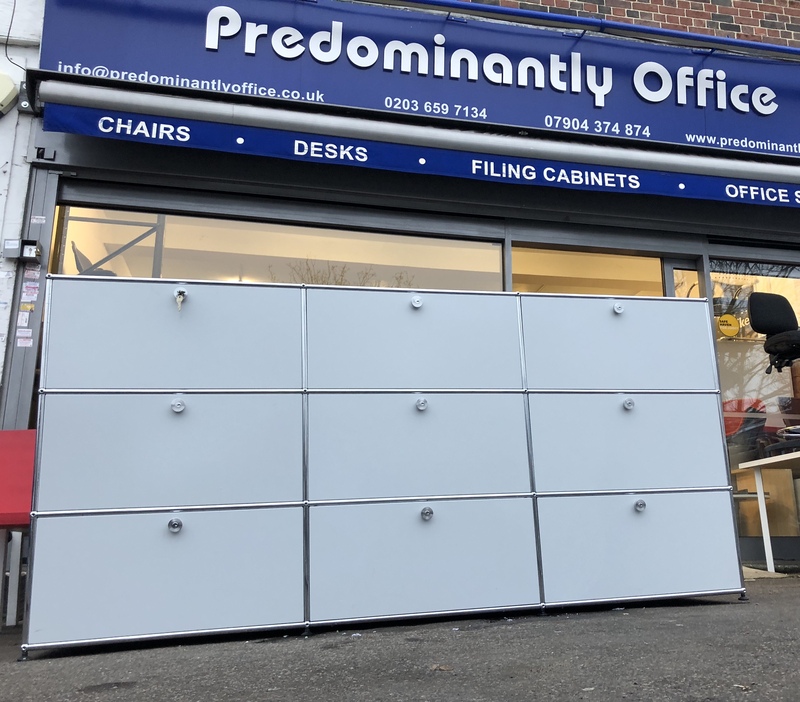 You decide……..customise the unit to your our configuration and preference. 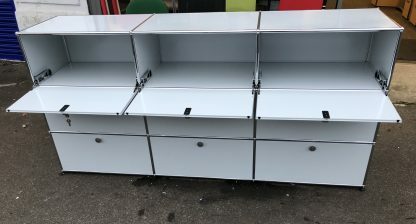 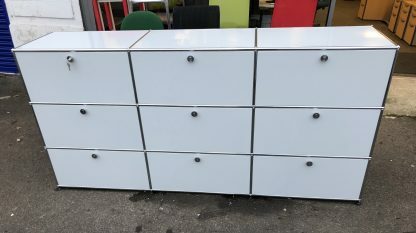 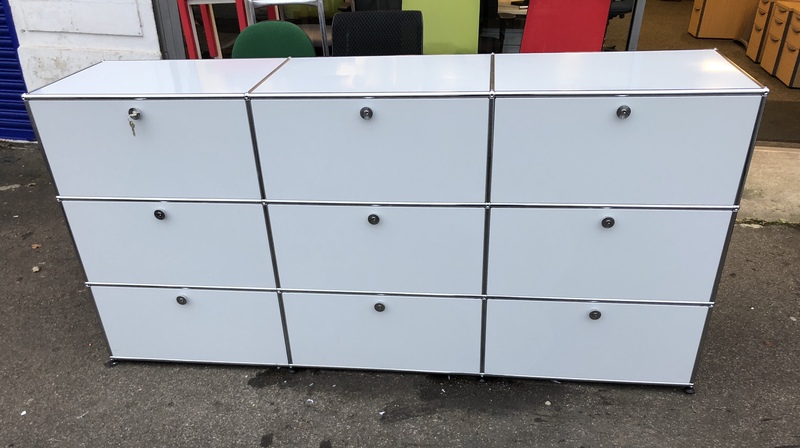 This is a used unit which is in excellent condition throughout and we have keys for the compartments. 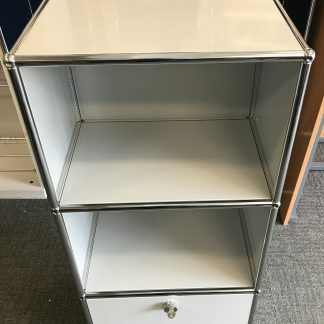 Please be aware this USM Haller unit is very heavy, especially due to the size of the unit.